We had a new arrangement for this ride with Brian Henry leading the ride out to Richmond Park and with Nigel Bee backmarking for a change. With assistance from some traffic lights, we were able to manage to negotiate the U turn outside Bishop's Park so that we could cross Putney Bridge. We then made our way to the south bank of the Thames. At Barnes we found there was a ford we had to cross, as it was high tide and water had encroached onto the cycle path. This was OK for everyone except a Brompton rider, who kindly agreed to wade through water carrying her bike to stop us from having to go all the way back along the path to Barnes. 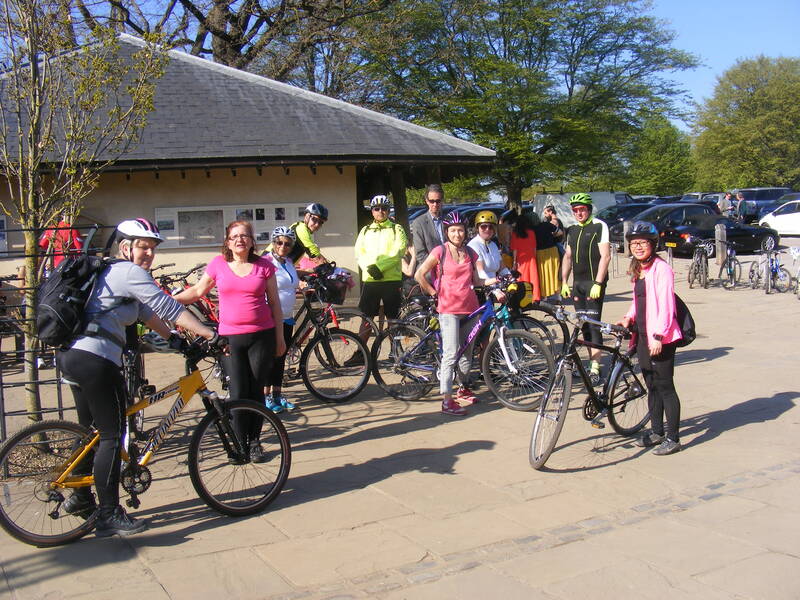 We then cycled up to Richmond Park and stopped off for lunch at Pembroke Lodge. As we were a bit behind schedule, we were worried we might get caught up in huge crowds coming out of the Twickenham rugby match, so we chose to come back to Putney via Wimbledon Common. We found ourselves on the wrong side of Beverley Brook but did eventually manage to cross the brook only to be faced with a number of no cycling signs. There was one route we were allowed to take and this did lead us onto the correct route which which we intended to take to get to the Wimbledon Windmill. The windmill had recently had its sails replaced and painted and we stopped off there for a second break as we had faced quite a bit of off-road climbing to get there. We then followed a long straight un-made-up road called Putney Park Lane with took us back to Putney.